North Carolina’s Holiday “Booze It & Lose It” campaign netted more than 3,000 DWI arrests. 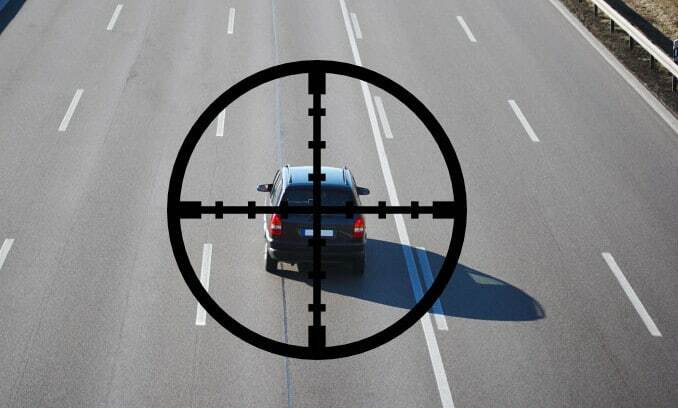 As North Carolina citizens were partying over the holidays, law enforcement officers were out in full force from December 13, 2013 through January 5, 2014, stopping vehicles and using breathalyzer test checkpoints to monitor the sobriety of those behind the wheel. This effort resulted in an arrest total of 3,164 DWI drivers across North Carolina. The holiday “Booze It & Lose It” campaign was designed to stop drinking and driving during the holiday season, which is always a dangerous period of time in terms of drinking and driving offenders. Late December and early January, historically, have been the most prevalent time for drinking and driving accidents and fatalities. But drinking and driving wasn’t the only violation committed during this period. 6,285 seat belt and 1,086 child passenger violation tickets were also issued, along with speeding and drug charges. The “Booze it & Lose it” campaign may have concluded, but the state’s law enforcement will remain as dedicated as ever in keeping North Carolina’s roads safe by reducing drinking and driving accidents and fatalities. So make a pledge to remain both accident and ticket free throughout 2014. Whether it’s appointing a designated driver , calling a taxi or calling Safe Ride Home, a service in which someone comes to pick you up and take you home in your own car, there is always an alternative to drinking and driving. What Are BAC Set Points? 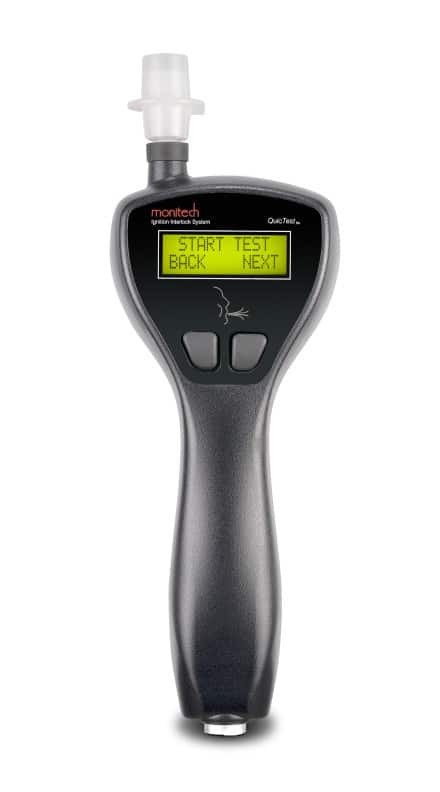 If the driver blew a BAC level of 0.15 or greater when convicted of the DUI, once his device is installed, he must blow a BAC level below 0.04 in order to start his car. If he blows a BAC level of .01 or higher, he will be given a warning. Drivers who blow a BAC level of 0.15 or greater when convicted of the DUI AND fall under one of the following categories face a much stiffer penalty. These drivers are unable to start their cars if they blow a BAC level of 0.009 or greater. If they blow a BAC level of .004 or higher, they will receive a warning. The NCDMV requires all fails to be reported to them. It also requires the client responsible for the fail to stop by his respective service center within five days. In addition, the NCDMV may take licensing action for any fail that it deems necessary. Keep in mind that alcoholic beverages may take several hours after consumption to dissipate from the body. Also, don’t forget that alcohol occurs naturally in a person’s body and can be found in substances other than beer, wine and liquor. Many foods and medicines contain alcohol, including mouth wash, certain coffee drinks and inhalers. Monitech’s contact center representatives have used their combined 50+ years of experience to turn their contact center into one of excellence. What sets them apart? Sales, support and field teams work as one unit to produce a seamless customer experience. The contact center, located at Monitech headquarters in N.C., is local, which allows contact center reps to be privy to statewide affairs as well as provide answers in a timely fashion. By cross training contact center team members with field technicians, Monitech has cut down on customer issues and made hand-offs between the two seamless. Monitech holds regular meetings between field and contact center staff with the purpose of identifying areas for improvement and creating plans to improve these areas. Performance metrics are based on quality of delivery, not on quotas or other arbitrary measures. 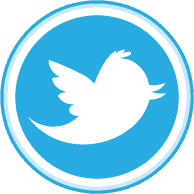 Our ultimate goal is to help the customer to the extent we are able to. For this reason, Monitech does not hold contact center staff to strict call times that would force them to rush phone calls. While this may extend wait times a little bit, we feel doing this gives the customer a better experience overall. If you missed Parts 1 and 2 of this series, my name is Bryce Little and I’m the Market Coordinator for Monitech. My job is to educate attorneys and alcohol assessment counselors on ignition interlocks. Over the course of this past year, I’ve received hundreds of questions about ignition interlocks. Now, it would’ve been hard to post every one of them here (See our FAQs page), so I’ve trimmed the list down to the top ten, and I’m answering them all in this three part series. This post is the final in of the series and addresses questions 3-1. 3. Can program participants get their interlock serviced at any North Carolina location? Yes. 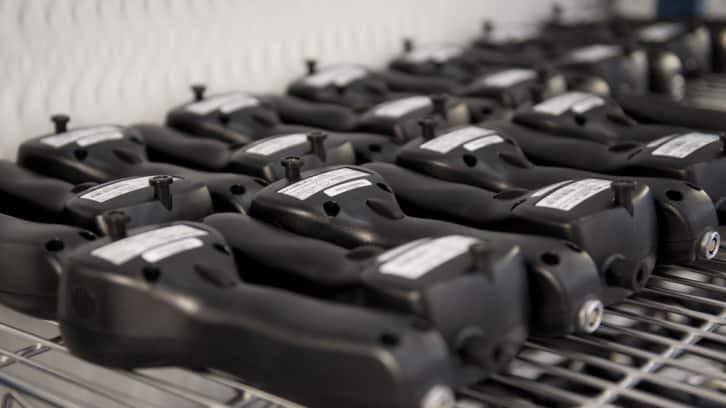 Monitech ignition interlock devices can be serviced at any of our 30 service center locations. For up-to-date service center hours and locations, check out our store locator. 2. Can an ignition interlock be installed on older vehicles? Under most circumstances, an ignition interlock can be installed on any vehicle that operates with a 12-volt electrical system. However, since the ignition interlock monitors a number of vehicle functions, especially the alternator and charging system, the electrical system must meet certain minimal standards. On the day of installation, if the Monitech technician finds that a vehicle does not meet the minimal standards, the difficulties will be pointed out and a second appointment date will be established at no extra charge. 1. What if a client’s car is registered under someone else’s name? If the vehicle is not registered in the client’s name, it is necessary to provide a notarized Permission Letter from the owner. This letter is available for printout on our website under the Resources section. If the owner of the vehicle will be present at the time of installation, he or she may sign the permission letter at that time (without the need for notarization). I hope you found these answers helpful. If you have any other questions regarding ignition interlocks, feel free to contact me. If you missed Part 1 of this series, my name is Bryce Little and I’m the Market Coordinator for Monitech. My job is to educate attorneys and alcohol assessment counselors on ignition interlocks. Over the course of this past year, I’ve received hundreds of questions about ignition interlocks. Now, it would’ve been hard to post every one of them here (See our FAQs page), so I’ve trimmed the list down to the top ten, and I’m answering them all in this three part series. 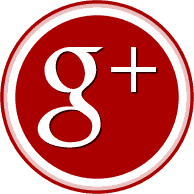 This post deals with questions 7-4. 7. Can the ignition interlock shut my vehicle off while driving? No. The way interlocks work is by interrupting the ignition signal to the starter motor before startup and, therefore, cannot turn the vehicle off — only prevent the vehicle from starting. If a random running retest is failed, the ignition interlock will sound an alarm and allow the driver time to find a safe place to pull over and turn the vehicle off. 6. Do I need an appointment to go to the service center? Yes. Local Monitech technicians are prohibited from accepting walk-ins or scheduling appointments directly from the service center. One must go through the Monitech Contact Center in order to schedule an appointment with a service center. The Contact Center can be reached at 1-800-521-4246. 5. Does the interlock device drain my battery? The ignition interlock monitors the vehicle, even when it’s turned off, so it does require a small amount of battery power for this continuous activity. Therefore, Monitech recommends avoiding extended periods of nonuse, which may cause excessive battery drain. 4. Can I disable the ignition interlock myself to let someone else use the vehicle? No. Tampering with or any attempted circumvention of the ignition interlock device is a violation of the North Carolina Ignition Interlock Program and may result in the loss of your driving privileges. The interlock participant may designate other individuals to operate the interlock vehicle, but in so doing, the interlock participant accepts any and all responsibility for interlock damages and/or program violations. For this reason, the interlock participant should utilize extreme caution in allowing someone else to operate the interlock vehicle. In early 1989, the founder of Monitech approached the N.C. Division of Motor Vehicles (NCDMV) about using the emerging technology of a breath alcohol ignition interlock device (BAIID) as a highway safety measure. The BAIID would allow drivers who had had multiple DWI convictions and their licenses revoked to legally drive again by requiring them to provide an alcohol breath sample before starting their cars. This would prove to the NCDMV that these drivers had changed their behavior; it would further provide the NCDMV with the assurance that repeat DWI offenders were no longer endangering the motoring public. At that time, and still to this day, the NCDMV had a “conditionally restored” program for repeat DWI offenders: N.C. Gen. Stat. § 20-19(d) & (e). Repeat DWI offenders could obtain a conditionally restored drivers license if (1) their license had been revoked for at least three years and (2) they could produce three witnesses who swore under oath that the offender had not used alcohol in at least one year. However, until the BAIID was developed, the NCDMV had no way of ensuring that the conditionally restored driver was actually abstaining from the use of alcohol before or during vehicle use. So the NCDMV acted upon Monitech’s recommendation and founded the BAIID program under the following pretenses: 1) they would control the rules and fee structure of the program and 2) Monitech would incur all investment costs in personnel, services centers and equipment. 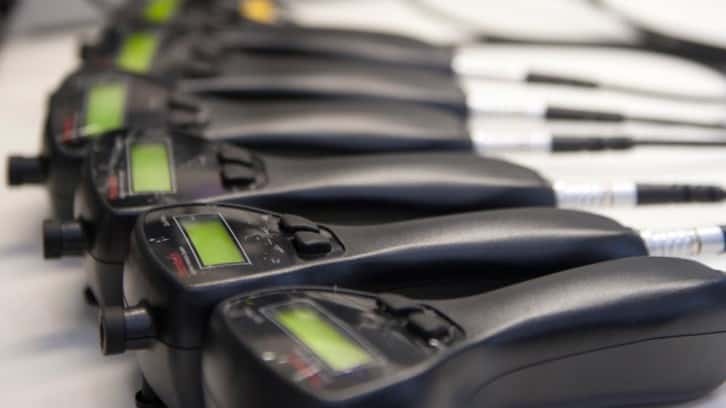 The pilot program, which started with restrictions to 100 participants’ conditionally restored driver’s licenses, required Monitech’s device to record a breath alcohol content (BAC) of 0.02 as a WARN, a 0.04 -0.07 as a FAIL and a 0.08+ as a HIGH FAIL. These set points assured the NCDMV that N.C. roads would be safer. 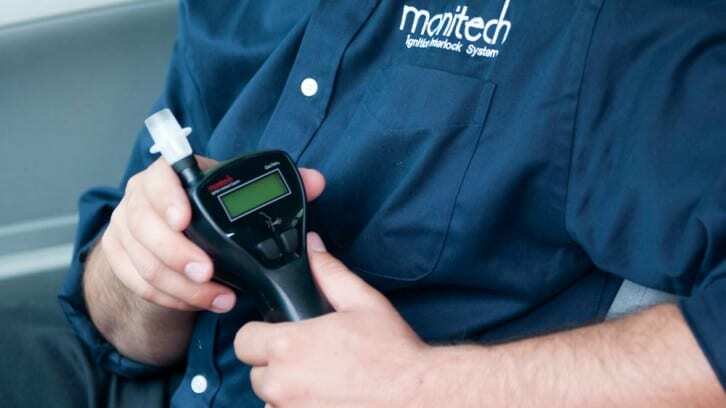 Monitech was the first company in the nation to develop and deploy a BAIID using fuel cell technology to more accurately measure breath alcohol (the same technology used in most law enforcement breath testing instruments). It also increased its number of service centers statewide for customer convenience. While many states were hosting multiple BAIID providers, the NCDMV continued its partnership exclusively with Monitech for years. Though requests for proposals were put out for bid several times, Monitech was the only provider willing to invest in the technology and facilities necessary to provide statewide coverage. For 22 years, Monitech served North Carolinians as their sole provider. In 2011, the NCDMV opened the state to multiple vendors and now Monitech shares friendly competition with Smart Start and Alcolock. A small breath analyzer that requires a clean, alcohol-free breath sample by a driver in order to start a vehicle. What’s the purpose of the device? Ignition interlocks are used across the nation as an alternative to license revocation. When the law takes away individuals’ licenses for a substantial period of time, life as they know it becomes difficult (i.e. supporting a job, family and normal lifestyle). Ignition interlocks are an alternative to revocation. They provide those convicted of a DWI with the opportunity to prove they can be responsible drivers again. Which drivers are required to have an ignition interlock device by N.C. law? How long are individuals required to have an ignition interlock device? Terms range from one to 10 years depending on the number of convictions. Driving a vehicle without the required device is illegal and will result in a revocation of all rights to drive for at least one additional year. What’s the one thing an ignition interlock device is looking for? What’s required to start a car with an ignition interlock device? A clean, alcohol free breath sample. The driver must blow and hum continuously for eight seconds. After a completed and successful breath test, the driver can start the vehicle. What happens if the device detects alcohol? If the device records a FAIL, a noncompliance report is sent to the DMV. Can anything other than alcohol (ethanol) set off the device? A FAIL can occur due to mouth contaminants. What are examples of mouth contaminants? Some foods and drinks other than beer, wine and liquor include alcohol type ingredients. What should you do if your device detects a mouth contaminant? If a driver consumes a mouth contaminant before activating the device, it will result in a WARN or FAIL. The driver should wait five minutes, rinse thoroughly with water and retest. By that time, any contaminant should have dissipated. A second test will represent your accurate BAC. What does the Monitech device look like? 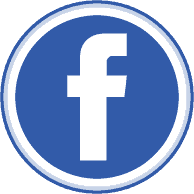 How do I get more information about ignition interlock devices?